Jaburritos: Here we ate sushi burritos. We got the Venice sushi burrito which comes with vegan gardein steak, sweet chili sauce, "avocado, roasted corn & beans, cucumber, romaine, pico de gallo." It was tasty and filling. It cost $10 which was the cheapest sushi burrito on the menu. Here is half of the sushi burrito. Sprinkles: This place was across the street from Jaburritos on the Linq Promenade. It's a cupcake shop that happens to have a single vegan cupcake. There is also a cupcake atm which is a bit ridiculous but a good photo op. We bought the vegan cupcake to try. It was quite expensive at $4.50 so we decided to split it. It was a red velvet flavoured cupcake and it was delicious. It came with a 2for1 coupon so we came back to get some more. Paying $4.50 for 2 is a lot better than $4.50 each. Nacho Daddy: We had been to the downtown location of this restaurant on our previous trip. 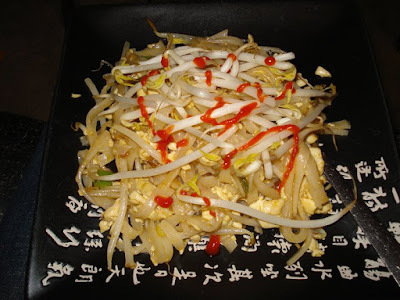 This time we tried some of their main dishes. They have a vegan section of their menu which makes things easier. We got the Vegan Fajita Salad, some nachos, and the vegan crispy avocado street tacos. I think these were the vegan loaded nachos. The tacos were good and I liked how they came with rice and beans. We had heard from a lot of places that White Castle now makes a vegan slider called the Impossible Slider that uses the vegan Impossible Burger. We decided to check it out since the Impossible Burger is not available in Canada. We figured it would be a good cheap meal idea between all the other places. The Impossible Sliders turned out to not be a cheap meal option as they were about $4 each but we tried them. They were definitely a convincing meat tasting burger. Hussong's Mexican Cantina: We had been to this places as well on our previous trip to Las Vegas. 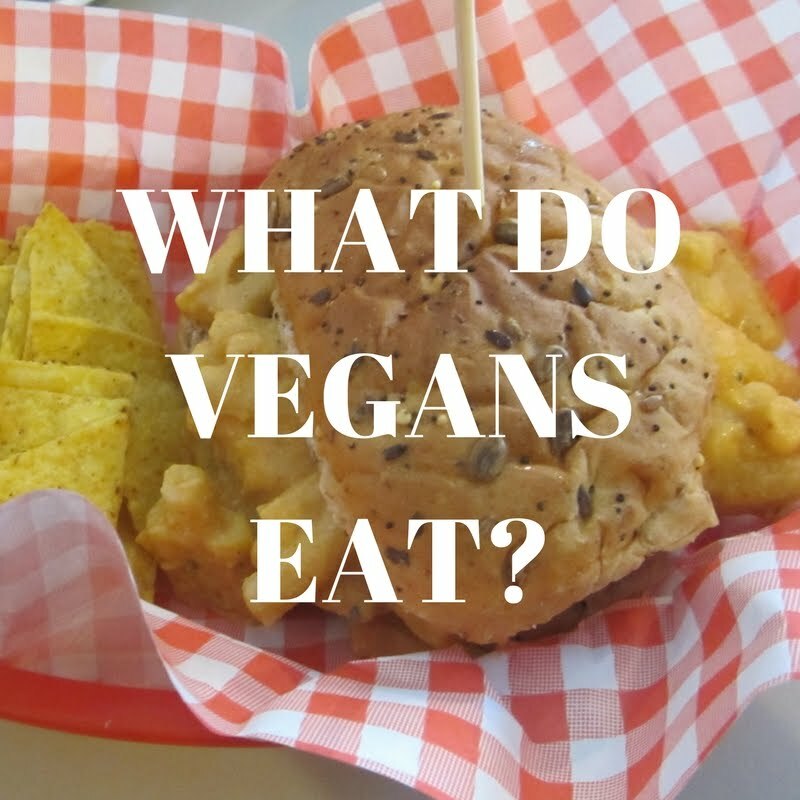 This time we tried the Vegans, Baby Veganuary 3 course menu for $20. This is such an excellent deal. You get so much food. It will definitely leave you stuffed. Then came the enchiladas with rice and beans too. And for dessert the chocolate cake. We were so full. We could have just split one of these but we had ordered some tacos as well which were not pictured. Plus they give you chips and salsa. A.Y.C.E. Buffet: My Mom and Aunt really wanted to check out an all you can eat buffet in Las Vegas but the problem was that all you can eat buffets usually don't have any decent vegan options. You might be able to have just the salad most places but their dressings might not even be vegan. Who wants to pay $20 for all you can eat plain lettuce? Anyway, once we'd heard about this place at the Palms and the decent vegan options we decided to check it out. We signed up for players cards and got some money off at the buffet which was already pretty reasonable. The chef took us around the restaurant showing us every last thing that was vegan and what to avoid too. He made a point of showing us stuff that we might assume was vegan and explained why it was not. I think he did this to avoid us accidentally eating something non-vegan. We were there for lunch and we made it our main meal of the day. There was tons of great stuff. They even had cookies and brownies for dessert. The chef said that dinner time is the best time to show up as they have the most vegan options at dinner but they have vegan stuff at breakfast and lunch as well. Pop Up Pizza: We were downtown checking out the Fremont Street experience and wanted a snack. We went into the Plaza Hotel & Casino where Pop Up Pizza is located and had a slice of vegan pizza each. It was a casual place just the way we like 'em. There was vegan pizza by the slice available and they had a veganuary pizza on the menu too. We went for the pizza by the slice and we were very satisfied with how delicious it was. Top notch pizza indeed. Flour & Barley: It's funny because later on we ended up going to another pizza place. This one was close to our hotel on the Linq promenade. It was definitely some good pizza but not quite as good as Pop Up Pizza. It was still really good though. I mean it's pizza right? Yard House Restaurant: The last place we went to was another one close by to our hotel called the Yard House. They specialize in big glasses of beer but they have a bunch of vegan options using gardein burgers. It was funny because once we were inside we realized that we had been to a Yard House before when we went to Hawaii quite a few years ago. They had Gardein burgers then which we had spotting walking past and looking at the menu posted outside. Yard House had some buffalo bites and there were also some pasta dishes that could be made vegan. Our time in Las Vegas made for a good "What Vegans Eat" post. We wanted to put all our food photos together as a Las Vegas food diary to try something new. We found lots of different places to eat. 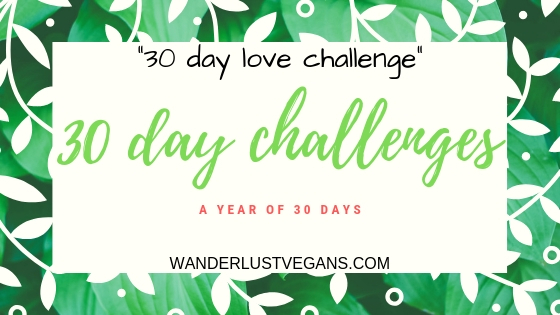 If you have than we did then there are definitely some more upscale restaurants you could check out for vegan food. I don't think that Las Vegas is a place that comes to mind as a viable place to find vegan food. 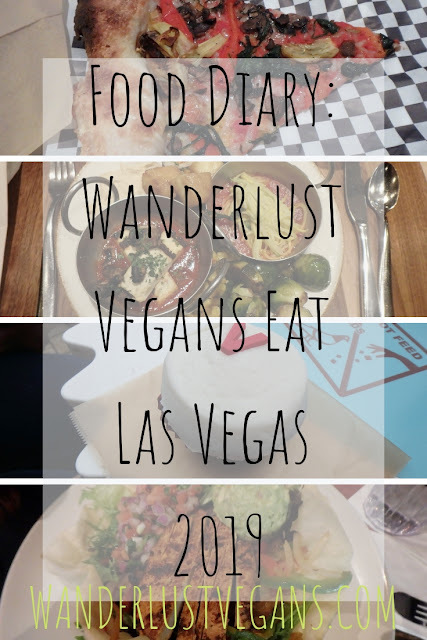 If you are headed to Vegas either on your own or maybe you are being dragged there by a bunch of non-vegan friends then don't worry, there are places to eat vegan in Las Vegas. If you liked this post then check out our other posts about Las Vegas!